Matter, as we know it, constitutes less than 5% of the total mass in the Universe. Rest of the matter is what we call Dark Matter, which can be felt gravitationally, but can not be seen. The motion of galaxies and clusters are dominated by the presence of this Dark Matter. Dark Matter pervades all space around us, but we do not see it due to its exceptionally low interaction with ordinary matter. The solution to this mystery may lie in a particle called WIMP (Weakly Interacting Massive Particle). This particle not only can solve this astrophysical problem, but also solve problems in Particle Physics. A dark matter particle passes through us every second, yet we do not feel it due to their extremely rare interaction with ordinary matter. Due to the rareness of such recoil and the exceptionally low amount of energy released, an experiment needs to not only be very sensitive, but also have the ability to reject fake events, which can come from radioactivity. The experiment that has led the world in the field of dark matter search is called the Cryogenic Dark Matter Search (CDMS), located in US. The experiment uses very sophisticated detector technology and advanced analysis techniques to enable cryogenically cooled (almost absolute zero temperature at -460 degrees F) Germanium and Silicon targets to search for the rare recoil of dark matter particles. 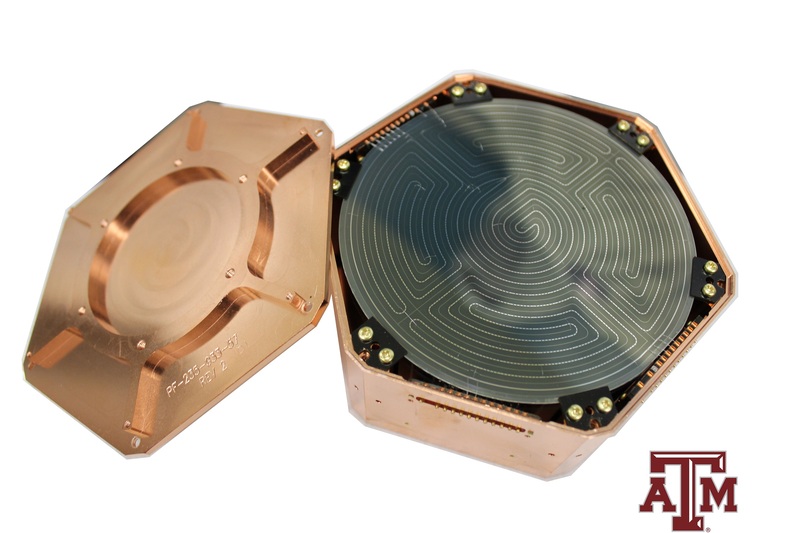 Our group is leading (along with Stanford) the detector development for next generation dark matter detectors utilizing cryogenically cooled semiconductor detectors with Transition Edge Sensors. We are inolved in end to end fabrication of CDMS detectors, starting from bare Ge/Si crystals from vendors and going through a series of steps involving characterization of the crystal purity, detector grade polishing, followed by thin film deposition and photolithographic patterning of the transition edge sensors, to fully chracterizing the thin films at room temperature using Scanning Electron (SEM) microscopy, Atomic Force Microscopy (AFM), X-ray Photoelectron Spectroscopy (XPS) as well as He4 cryogenic testing of the films. We are also utilizing our detector and cryogenics expertise to establish a new experiment to detect coherent scattering of neutrinos on these ultra-low threshold detectors and use it as a probe to search for new physics. The new MINER (Mitchell Institute Neutrino Experiment at Reactor) is housed at the Nuclear Science Center (NSC) on the TAMU campus.